So, it looks like I’ll be importing the Japanese 3DS Rockman Classics Collection Limited Edition. 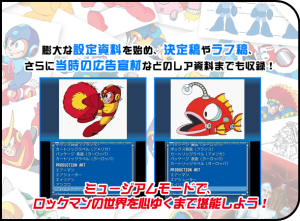 It sounds as though they could be expanding upon the Right’s Journal segments that appeared in 1991’s Rockman Character Collection, although they could consist of entirely new pieces with no connection to the older ones. Should be interesting to see if they keep or toss the dates and passages listed before, and how far into the series the notes will cover… Just as a prequel story, as if 2016 is the actual year of 20XX when Rock was born? Or perhaps going through the included games up to Rockman 6? Or even beyond R10, and on into X?! They sure know how to kick my imagination into overdrive. Starting today the six completed robots enter into their safety evaluation period. Rock has even volunteered to oversee their preparation. I’ve built my DRN series upon the firmly held foundation that in order to truly benefit humanity, a robot must be able to peacefully coexist among humans. These six whom I’ve taken to calling my Numbers have been crafted to embody all of my love, hope, aspirations, and goodwill. While not exactly containing groundbreaking information in itself, I think it’s a very promising example of the kind of world-building background setting and lore goodness that fans like myself love and crave. If keeping with the previous journal info, this entry would be at least 9 months before the events of Rockman 1. You see? I’m already spinning my wheels about it! In related Mega Man Legacy Collection… I mean Rockman Classics Collection news, it looks like the Museum section in the 3DS version will be getting an influx of new images that will include things sorely missing (and lamented over) from its predecessors: packaging art! The only available package art in the Steam version for Rockman 2 were the Japanese and European covers, so I’m grinning at the prospect of expanded content for the Museum. Now I’m curious, is the Japanese Rockman Classics Collection actually including the Japanese versions of the games, or just Japanese menu text as was suggested based on the Japanese language version in Steam/Xbox? Or more amusingly, could it be the US Mega Man ROMs having been re-imported and edited to be localized back into Japanese in a similar vein to how the Rockman Complete Works games were adapted for the Mega Man Anniversary Collection? If Capcom or Digital Eclipse has made mention of the technical side of this, let me know in the comments. 4 Comments to "It was Tuesday"
Frik, this is the first I heard the daily planner was gonna have something cool like that! Don’t blame you at all for being excited, haha! (All I ever saw before was pictures of the bonus items and thought they were kinda neat but nothing to go nuts for -since there’s no way they’ll offer them in the U.S.-). Hope there’s some interesting new facts! It’s cool to see there’s some new additional content in the game as well, makes me hopeful for even more improvements. 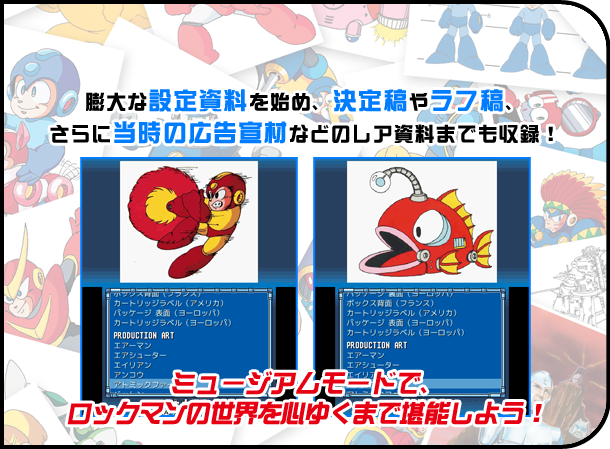 I feel like they’ve gotta be using the Japanese ROMs, or at least making the necessary changes… the trailer shows “CLASH MAN” on the MM2 select screen and “ROCKMAN III” on the MM3 select screen. Can help to be disappointed with this edition, the notes of Dr.Light is cool, they did something similar with the Resident Evil Remake and Zero agendas but after so many years without a Rockman game physical release, this release don’t cut it for me and the worst thing is the 3DS is region locked. At least we’re getting the 3DS version here, so… hopefully it’ll have the same stuff?